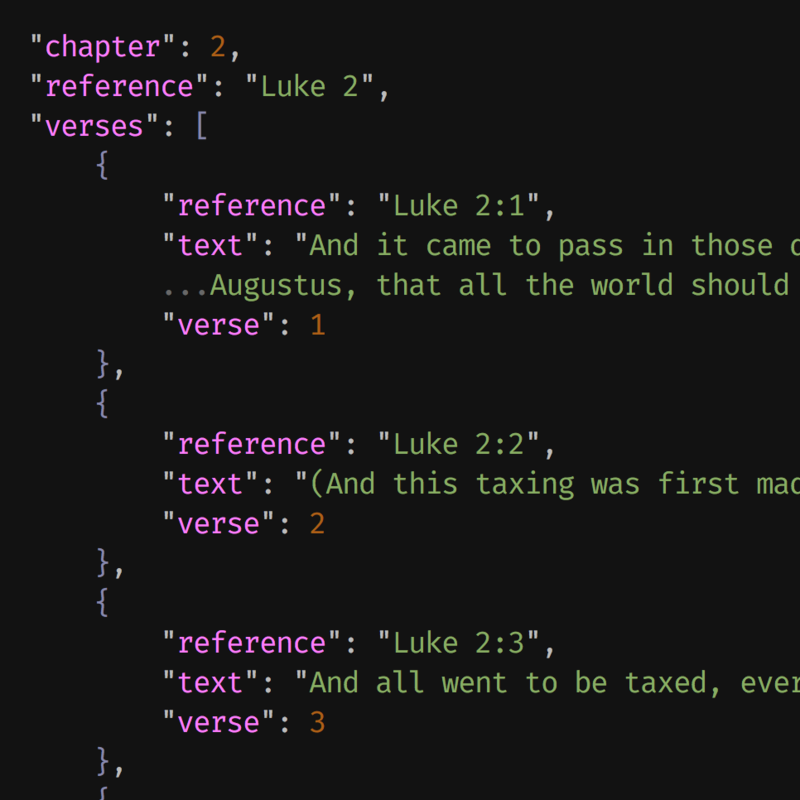 The JSON versions of the Old and New Testaments are now available. Also, I’ve compared all five standard works against the text on LDS.org and have fixed dozens of typos, a list of which you can see in the README changelog. (I had mistakenly assumed that my source text had been corrected, but that doesn’t seem to be the case.) None of the typos were doctrinal in nature — they’re all minor typographical fixes — but I recommend updating nonetheless. Updated October 2, 2016. Unless otherwise noted, content is under a Creative Commons license (Attribution-ShareAlike).